Exceptional performance in a lightweight MSR that won't slow you down. Designed to dominate! Deadly accurate and loaded with features and benefits, the DPMS GII Hunter delivers exceptional performance in a lightweight design that won't slow you down. The heart of the GII is a matched pair of forged, Level III anodized, Teflon-coated receivers, providing improved strength and durability. With the advancements in the forging, feed ramps and bolt geometry, the GII has a shorter overall receiver length, as well as a reduced receiver diameter. Next up is the revamped extraction system. Through countless hours of research, testing, and tens of thousands of fired rounds, DPMS has selected a new extractor material that is nearly impervious to breaking, and a patent pending elastomer extractor spring. They ran tens of thousands of rounds through during testing without fatigue, breakage, failure, and the new materials resisted temperatures from -60TMTMF to 650TMTMF+ as well as every gun cleaner, solvent, oil or degreaser they could get their hands on. All this innovation comes backed by rock-solid components like a 20" stainless barrel, Magpul MOE stock, and Hogue® pistol grip. And the best part? It tips the scales at just 7.76 lbs. So you can carry it through the woods all day. 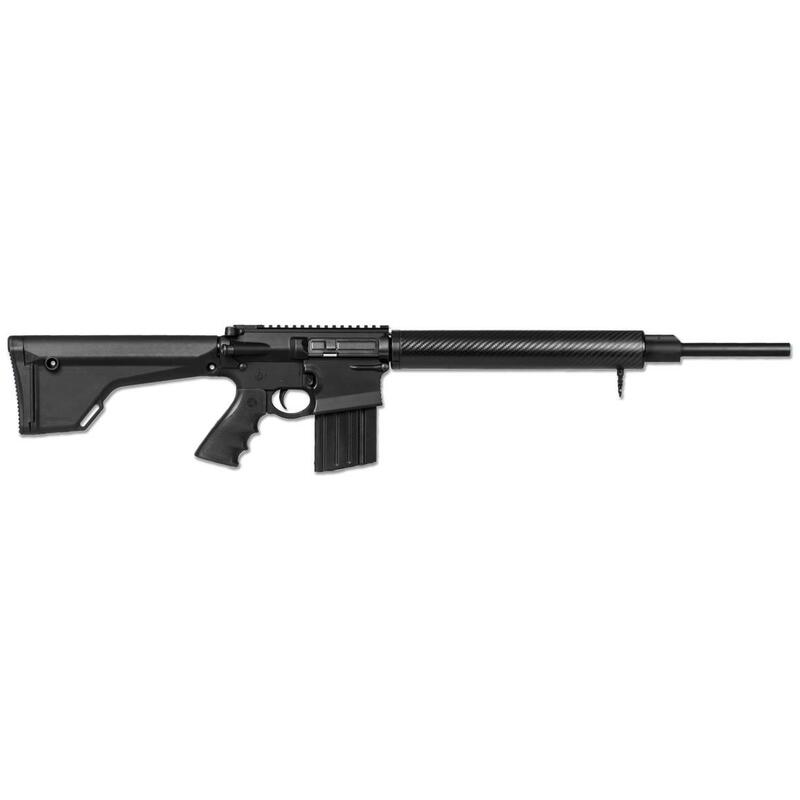 DPMS GII Hunter AR-10, Semi-Automatic, .308 Winchester/7.62 NATO, 20 Barrel, 20+1 Rounds is rated 5.0 out of 5 by 2. Rated 5 out of 5 by James from Great price and good quality Got the gun a mouth ago and have had it to the range once. From the little range time so far the gun works as advertised. Rated 5 out of 5 by OZnKC from You can't beat this price After my purchase I took off the forward sling bracket and put my bipod (can't remember the brand) on it. It fit perfectly. I then replaced the stock with a Magpul PRS stock, and then I topped it off with a Burris Eliminator 3 scope on it. It is now exactly how I want my rifle set up. This is a great looking rifle, and it has been well reviewed on the internet. Quite possibly the last rifle I will purchase. And, you can't beat 4 Pay. on the payments. I haven't fired it yet, but, it will be happening soon.